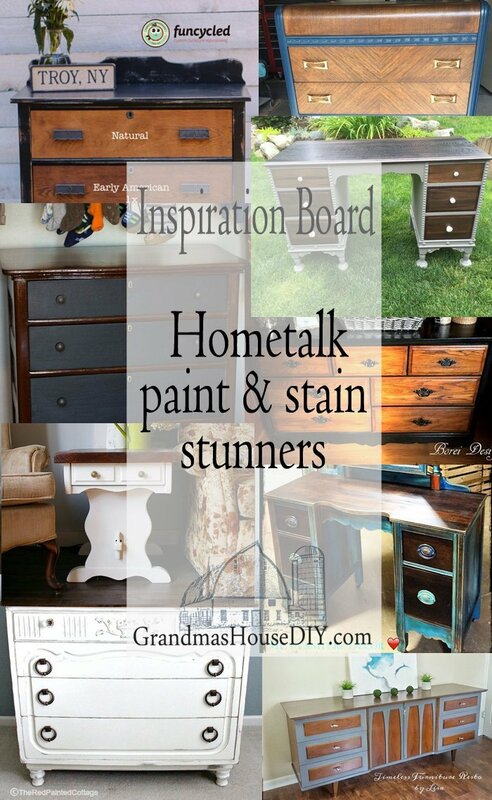 Many of you know that I spend a good amount of my online time over at Hometalk. They’re so great to bloggers like me and I am endlessly inspired by what is submitted there! 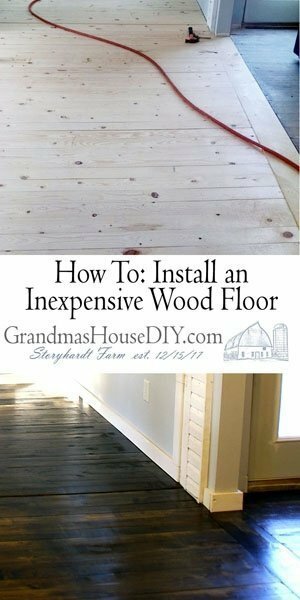 You guys know just how obsessed I am with the paint and stain combination and I spend a lot of my time drooling over it online. Here are just a few of those absolute stunners that I’ve found over on Hometalk that leave me totally speechless! 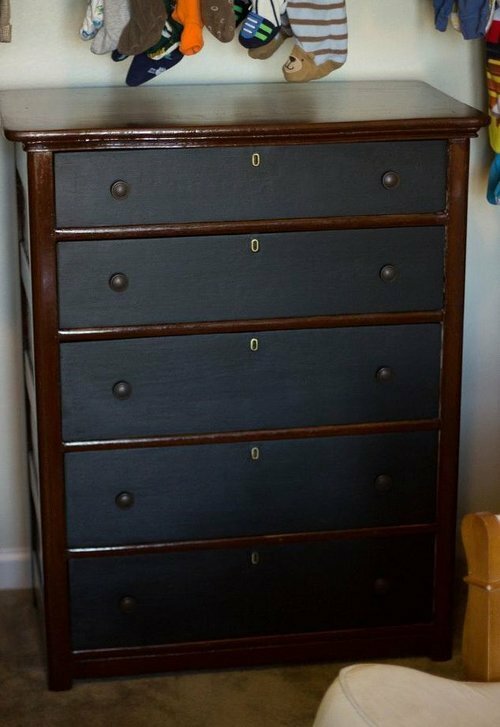 I think anyone who as ever been to a garage sale, a thrift store or an auction has seen this basic dresser before. I don’t avoid them but my heart has never gone pitter patter when I’ve seen them, they’re not special: they are, in fact, very common. Until now. 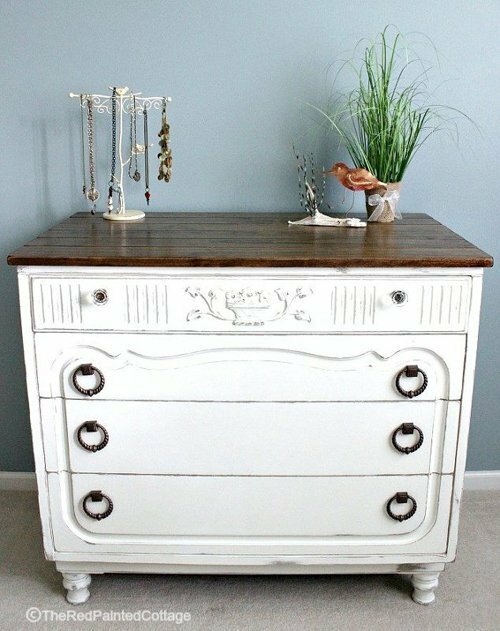 With the paint and stain combo and this bloggers great choice of knobs it seems the impossible has been managed: she took a mass produced dresser and truly made an elegant furniture statement. 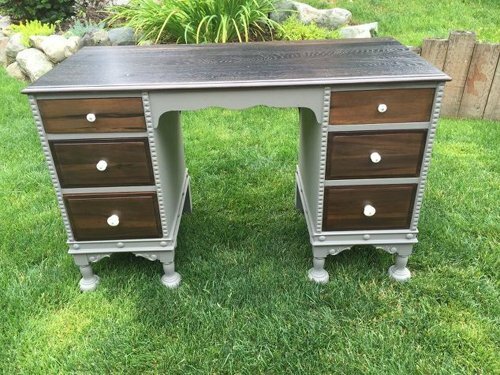 You probably won’t believe this but this desk was listed as free on a craig’s list ad! It took a lot of elbow grease to bring this beauty back from the dead but the blogger that posted this before and after knew from the minute she laid eyes on it that she was taking it home with her. I love her choice of gray and stain here! I’m so glad they saved this little old dresser one look at it and I know that this piece is OLD. It reminds of my own oak dresser here that I refinished and saved. 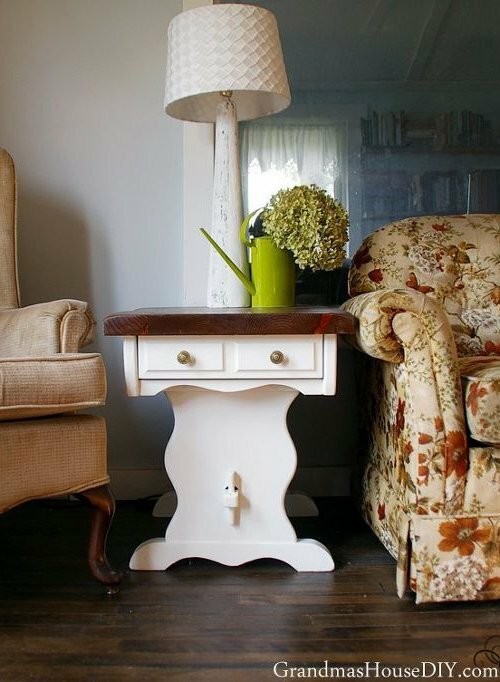 This is a good example of a piece with good bones! 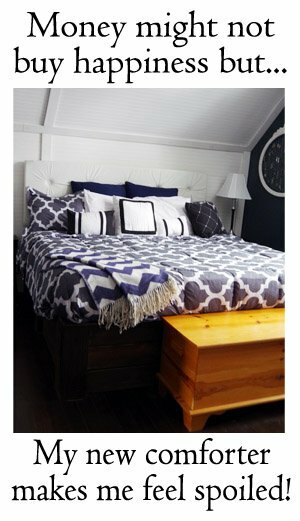 I love their combination here of that dreamy dark blue and dark stain! 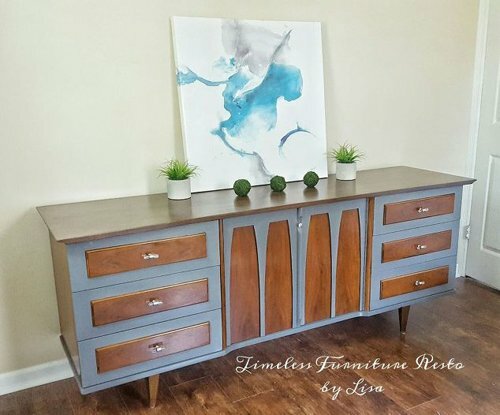 This piece is a great example of what just a little change in paint color can do! 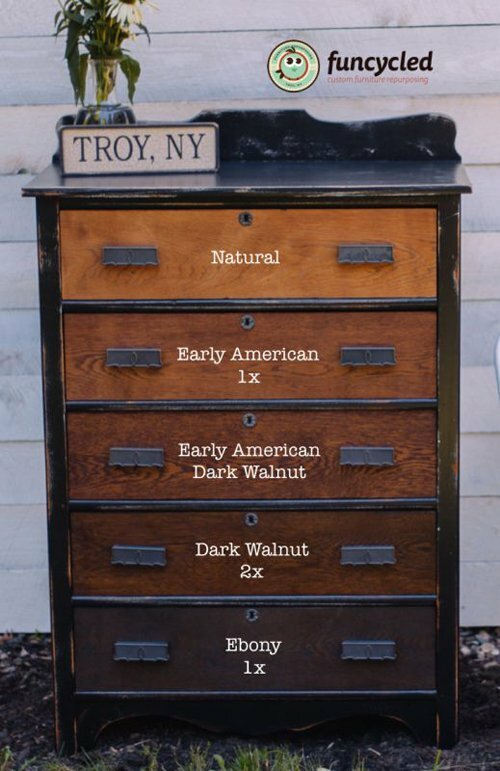 They also put new planks on the top so they could bring in the stain element and this dated little stack of drawers literally went from blah to truly beautiful. Ever since I saw this before and after I have been on the look out for a waterfall piece of my own. What I have found, however, is that not only are these waterfall pieces rather rare they are almost impossible to find without damage but I’m going to keep looking forever if I have to! 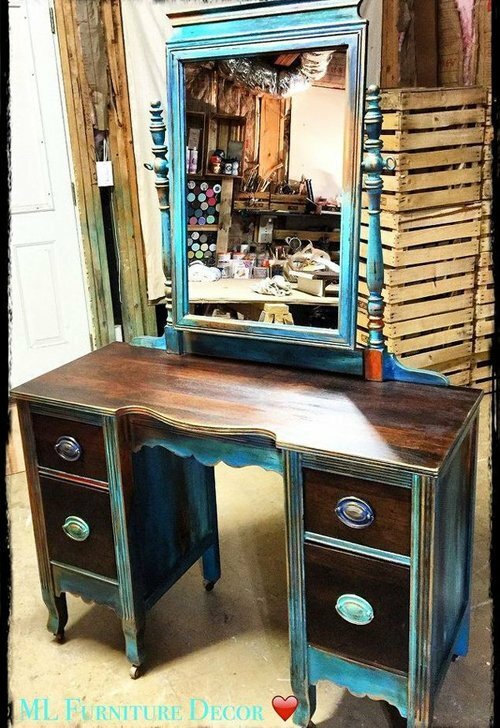 My heart sings for this gorgeous blue she chose and it is almost hard to believe how stunning that wood came out. I am not normally a big fan of unicorn spit because, in my opinion, it is being used a little too willy nilly across the diy world and the results can be really ugly. However, there comes a piece from time to time that reminds me that in the right hands unicorn spit can be truly spectacular and I think this old vanity is an incredible sentiment to that. Every now again I am reminded that though I am a recall old school, farm house kind of gal, I also have this little (and very loud) part of me that is absolutely in love with the mod generation and every single piece of mid century modern that goes a long with it. I something catch myself dreaming of a mid century modern home with its huge windows and clean lines and lack of molding before I shake myself out of it. 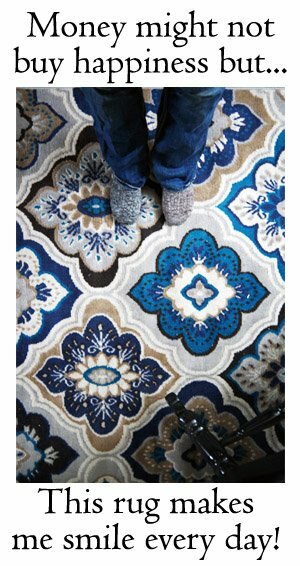 This piece is the perfect example of that mod generation look that makes my heart sing! 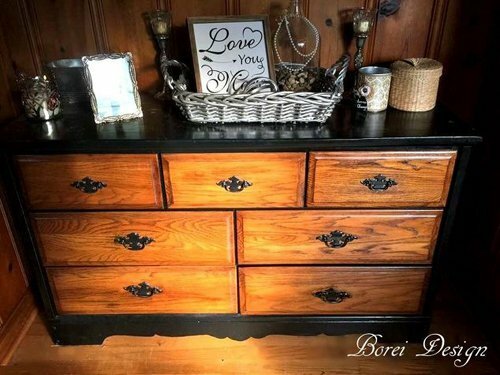 Here’s another really old oak dresser that reminds me of my own that I refinished. I think this turned out really lovely and it is most certainly unique! 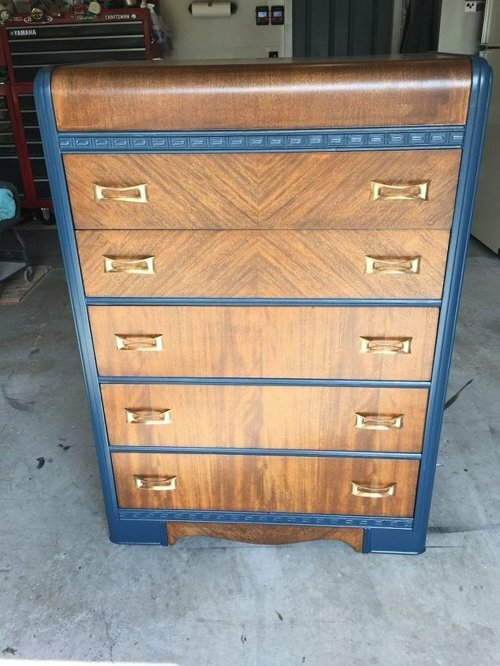 However, I admit, I am so conservative I do think it would have been just (if not more) stunning if they had just stained all the drawers in the same color 😉 Still, though, it is a beautiful combination! 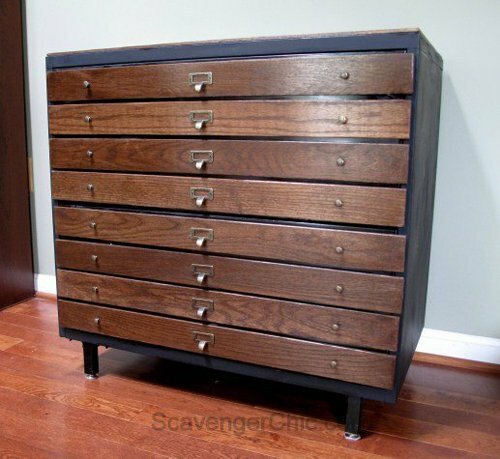 You’re not going to believe this but this piece is actually an old black file cabinet that they added wood to! Amazing right!? The combination here is so beautiful you really have got to go over there and see the before and after for yourself! And rounding out the list is my own first attempt at the paint and stain combination with our two end tables in our living room! I kept the old fashioned hardware by giving it a good cleaning and making it shine again. After that I just sanded the top down, stained it and painted out the base with three coats of a matte white paint. This is my first nod at the paint and stain combination but it is most certainly not my last! I love it! And after this list of beautiful pieces I think it is pretty obvious as to why!